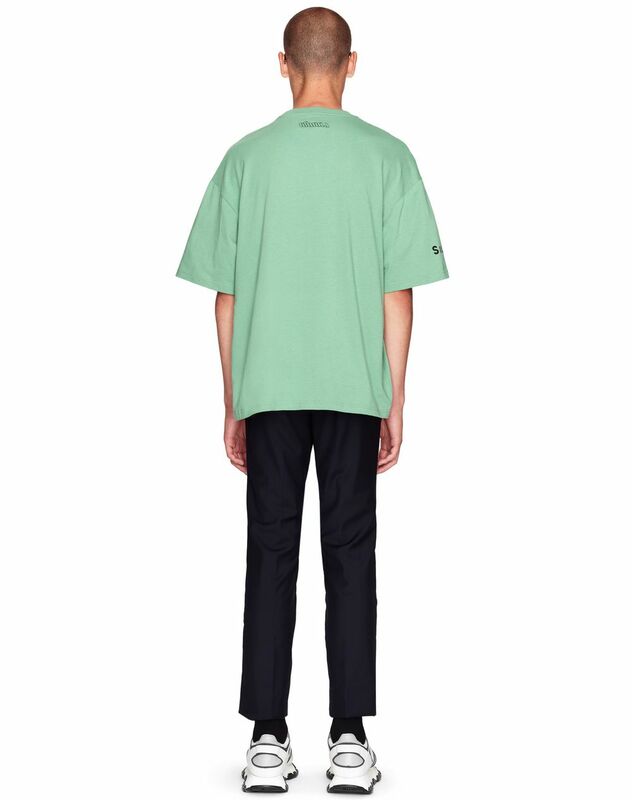 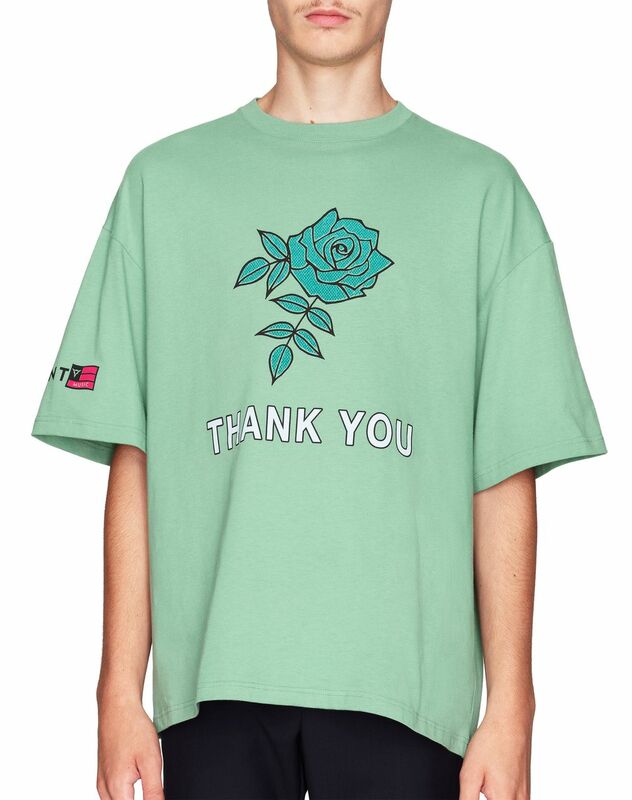 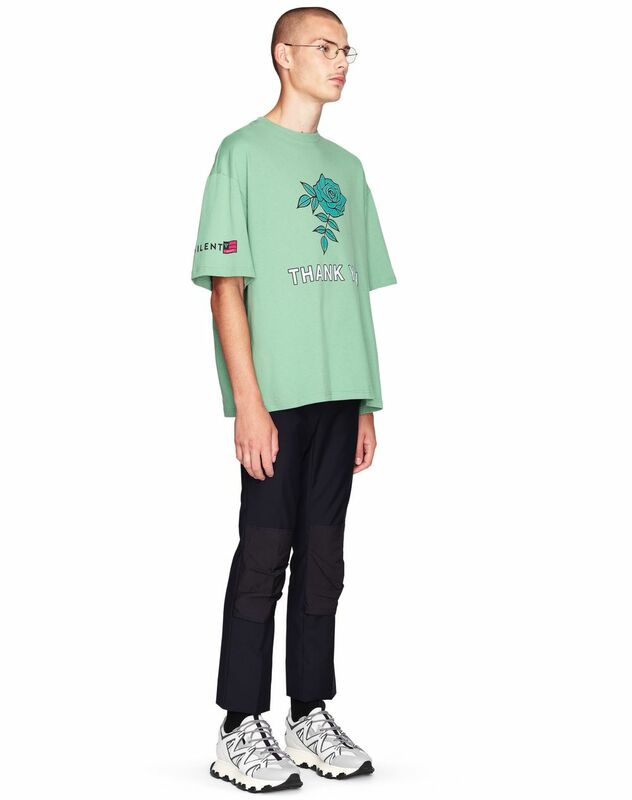 Oversized short-sleeved T-shirt in light green cotton jersey, “Rose” print with “Lanvin” logo detail on the back, and crew neck. 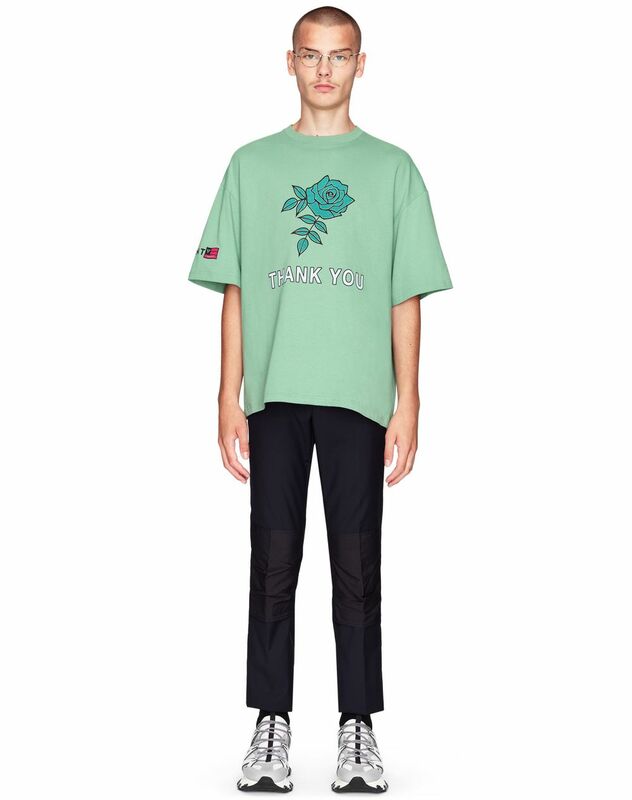 This oversized cotton jersey T-shirt features a “Rose” print, leaving an unmistakably Lanvin mark on the design. 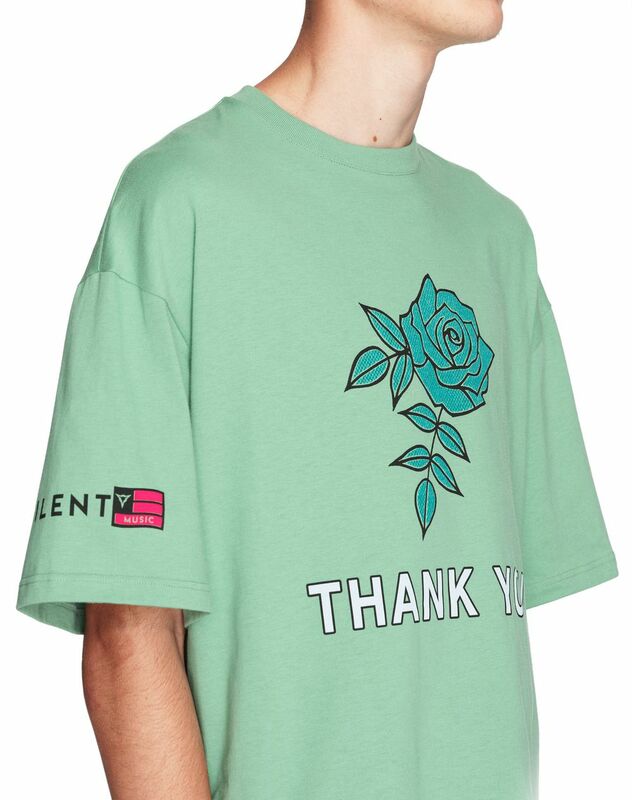 Combining comfort and modernity, this design comes in a light green shade that will add a graphic touch to your seasonal outfits. 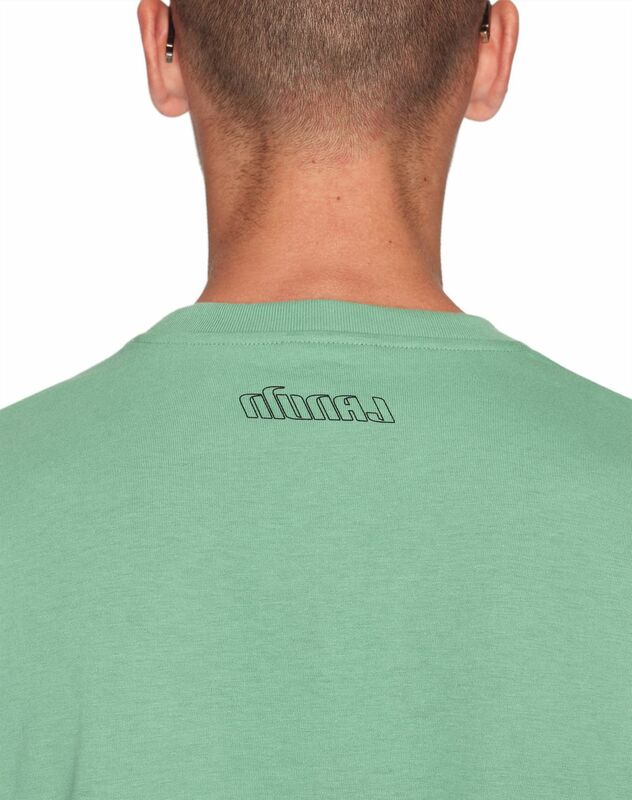 Paired with the Fitted pants from our collection, this T-shirt will provide an elegant, contemporary look.